Blogging has led me to meet a lot of inspiring figure. I have joined some blogger communities. There, I met Bunda Yati Rachmat. we had never met in person, but I knew her in cyberspace. I got closer to her and knew more about her personality through the chat group. In this opportunity, I would like to make a review about Bunda Yati Rachmat. For me, she's one of inspirational bloggers I've ever known. Bunda Yati Rachmat is a kind and humble lady. She is 77 years-old now, a mother of five children and a grandma of four grandsons. She's a proud member of some social media groups and blogger communities. She even has joined writing contests and won some of them. She's a contributor of eighteen books of anthology and also has published her own book, entitled "Me and My Life, Bunga Rampai Kehidupanku" in February 2015. 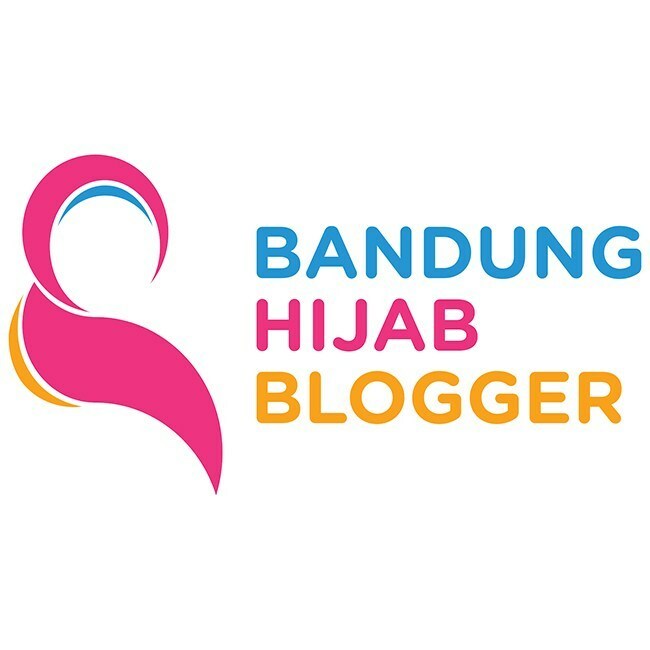 She blogs at www.bundayati.com. You can find a lot of inspiration from her blog. 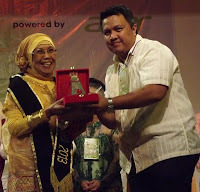 In April 2013, she received an award and a predicate as Srikandi Blogger "Lifetime Achievement 2013". Bunda Yati Rachmat is a translator (Indonesian - English) for letters requested by the third parties relating to confidential matters. She taught English lesson for the orphanage in her surrounding area. She's really productive and inspiring, isn't she? There was a little story behind the making of this written interview. I've emailed Bunda earlier this morning, but I haven't got any reply yet. I made a phone call, she said that she hasn't got any email from me. She's really kind and nice lady, talking with me in English. Hearing her voice on the phone line reminds me to my beloved grandma who has passed away a few years ago. She's just like her, a very caring and humble person. Bunda Yati has family members who really love and care about. She's totally blessed. Q: When did you start writing and what is your motivation in blogging? A: I like writing, yes! That’s my hobby in line with my hobby to like reading. When I started writing? Let’s say I have started to write ever since I had been in Senior High School. It was in about 1956, where, perhaps, even your mother have not yet been created by God. LOL. I don’t have any motivation in blogging. The only reason I can share with you is because I am eager to get some earning at my old age. So far after my retirement I am fully supported by my children, and that’s my hope if I could be grabbed some earnings of my own at that time. Q: What type of writing are you to focus on? A: In blogging? Well, I write various kind of articles, especially as blogposts, among others something dealt with my personal experience, either in my whole life, including family matter, which are not very confidential, about short stories. About blogging you can see that I named my blog as MISCELLANEOUS meaning I can write any topic on my blog. Beside I I write about my happiness in any of blogging – my involving in one of the Seminars/Workshops, which are, of course, will become a pity for me if I am not attend to. Q: What expectations do you have for yourself as a blogger? A: I have deep in my heart could manage all about skills in blogging, which is, again, of course I could grab those skill without studying. Nowadays, I start to have one willing in doing blogging: I could manage to monetize my blog. I hope with the help of some friends (Senior Blogger, I mean very Senior in their expertises, say, on how to monetize blog, on how to write a good content in any article on my blog and how to gain some other knowledges in line to my activity in blogging. Sooner or later, I hope I can make the appearance of my blog very cute and look nicer then the one I am having now. Q: What is your ultimate goal for your writing? A: Among other the ones I have said, I wish I can write about my autobiography of my own. So, there’s no specific ultimate goal so far. Q: Which authors do you most admire, and why? A: O-oo, for this question I don’t think I have the answer because I have never had one author to become my favorite. To satisfy you, maybe I can mention here one name from one of our friends, blogger Ade Anita, I have read her book which I have forgotten about the title, but I like story very much, it’s so interesting from the beginning up to the end. I like story which very much touch to religious things. Q: What kind of writing schedule will you keep? Q: How do you plan to maintain your motivation during the rough times? A: Speaking about rough times, of course, I say that I am very rare having rough times. Why? Because I am a pensioner, a grandmother, who doesn't have any specific business to deal with. I can maintain to motivate myself in doing anything and finalizing something right in time, unless there’s something that happen beyond my expectation. Q: How do you take care of yourself physically and mentally during your writing journey? A: That’s an easy answer to share with you. I am always take care of myself very carefully so do my children. I have limitation. I will never force myself, I love myself and I will not or burden myself more than I can bear with my blogging activities or others. I will say exactly big NO when I have a feeling that I myself are unable to overcome it. Q: How can you make your writing more authentic and genuine? A: I am still looking the way to come to it. For the time being I will say, let it be. Q: What is the biggest struggles you face in this journey, and how do to overcome that? A: I am an easy going person, so, I might say, that everybody must have faced a big problem, so do I, but so far we have to work with our genuine mind to overcome it. If you say, you can, then the struggle will vanish. Those are the questions and answers that give me and (I guess) other bloggers a great inspiration. It's beyond my expectation. I thought Bunda will answer the written interview in simple way, but she explained those answers in details. I salute her. "I love you, Bunda! I hope we could meet in person someday". Zia, my dear, finally it's done. But I am sure you didn't re-read my answer. It's oke people can make mistakes and we will learn by mistakes. There's a type in my answer: ...will become a pity for me if I am not attended to. Again, thanks a lot for your writing on your blog about me. I hope you don't mind my sharing your blogpost on my Facebook Wall. Big hugs fo you, Zia. Let's do our talk more often on the phone (mine is TAB, so don't worry if I am too long to reach to your incoming phone. With my pleasure Bunda. Feel free to share my post. I love having conversation with you. Don't hesitate to call me anytime. Ini point yang Bunda Yati juga ingatkan ke aku mba, kita punya batas. Kadang kita suka maksain diri untuk melakukan banyak hal, udahannya drop deh hihihihihi. Kapan - kapan bisa bikin kelas Ingggris nih untuk Blogger Perempuan hihihhihihihi. Yup, salah satu jawaban Bunda yang punya korelasi dengan limitasi "I have limitation. I will never force myself, I love myself and I will not or burden myself more than I can bear with my blogging activities or others. I will say exactly big NO when I have a feeling that I myself are unable to overcome it." Poin ini terbilang penting, kita tidak boleh memaksakan diri melebihi batas kemampuan kita. This is how she takesa good care of herself physically and mentally. Wahhh Kalo ngajar anak SD-SMP aku udah biasa, tapi kalo menghadapi yang seumur atau lebih dewasa suka de-degan dan ga PD. Hihihihi Mesti berguru ke Bunda nih kalo kayak gini. Aamiin maz. Semoga bunda sehat-sehat, terus berkarya, dan selalu jadi inspirasi.